Make a grand entrance...Connect tented events and shelter walkways, entries and exits from the elements. Fiesta Marquee, which can stand alone or the L-Shaped Marquee, which helps take corners. 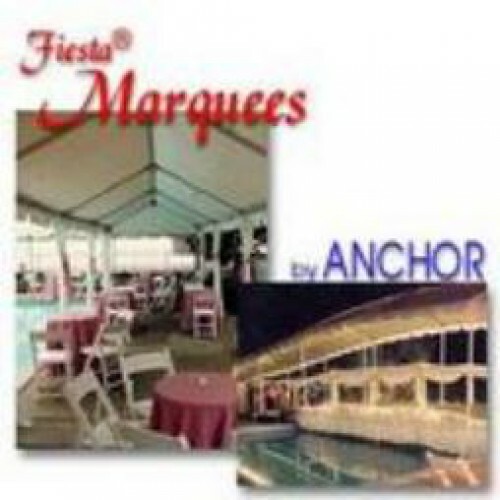 Anyway you shape it, Anchor has a Fiesta Marquee ready to join all of your parties! Vinyl, Laminated Polyester treated to resist fire, fading, mildew & leakage.